All versions of the A4 range use a seven-speed dual-clutch auto. The Audi A4 2019 model range has seen some naming changes as part of a model-year change, with the brand’s mid-size luxury sedan and wagon following a now familiar alphanumeric strategy. 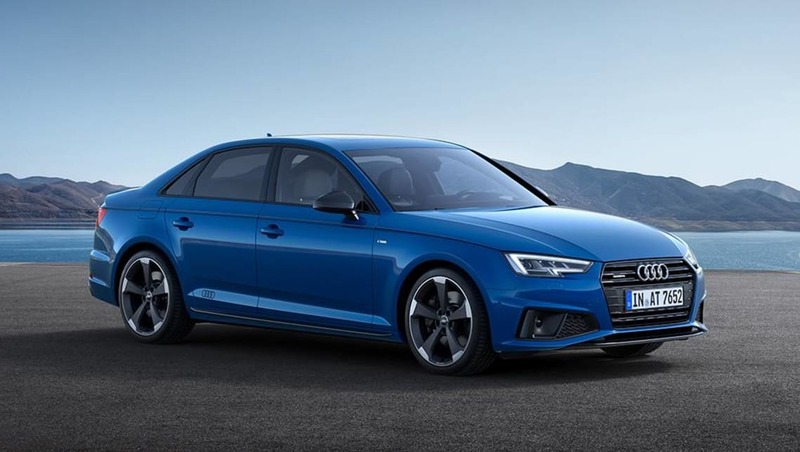 The updated model line-up sees some styling changes, and opening the range is the 35 TFSI sedan at $56,100 plus on-road costs, followed by the 40 TFSI sedan ($61,400) and wagon ($64,400), then there’s the 45 TFSI quattro sedan ($70,300) and wagon ($73,300). The A4 35 TFSI is powered by a 1.4-litre turbocharged petrol four-cylinder engine producing 110kW of power and 250Nm of torque. 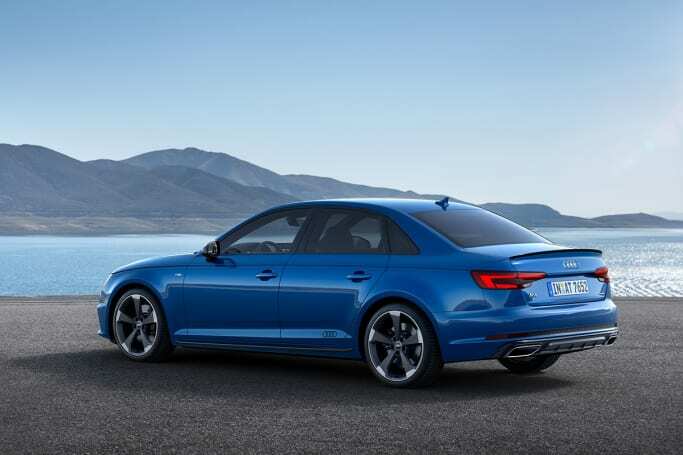 All versions of the A4 range use a seven-speed dual-clutch auto, and the 35 TFSI is front-wheel drive. Fuel use is claimed at 5.7 litres per 100km. A step above is the 40 TFSI model, which employs a 2.0-litre four-cylinder turbo engine with 140kW and 320Nm. It’s front-drive, too, and fuel use is claimed at 5.5L/100km for the sedan and 5.6L/100km for the wagon. At the top of the regular A4 range is the 45 TFSI, which has a higher-tuned 2.0-litre turbo four-cylinder engine producing 185kW/370Nm. Fuel use for this version is 6.5L/100km for the sedan and 6.6L/100km for the wagon. As for equipment levels, the 35 TFSI rides on 18-inch alloy wheels, has Audi’s S line styling pack (as with all models in the A4 line), LED headlights with LED daytime running lights, features four driving modes, auto headlights and wipers, cruise control, leather seat trim with sport front seats, electric driver’s seat adjustment. There’s also three-zone climate control and a leather steering wheel with paddle-shifters. The 40 TFSI rides on identical alloys to the grade below, an additional customisable drive mode, smart key and push-button start, an electric boot lid for the wagon models, electric seat adjustment for the front passenger, and an auto-dimming rear-view mirror. All models come with a reversing camera, front and rear parking sensors and auto emergency braking (AEB). The 45 TFSI adds 19-inch alloy wheels, lowered sports suspension (20mm lower than standard), Audi’s ‘virtual cockpit’ 12.3-inch digital dashboard display, folding side mirrors and memory settings for the driver’s seat. As for media and infotainment, the 35 TFSI and 40 TFSI models have a 7.0-inch display screen with sat nav, Apple CarPlay and Android Auto, Bluetooth phone and audio streaming, two USB ports, two SD card inputs, a rotary dial controller (no touchscreen), and a 7.0-inch digital display for the driver, and Audi connect online services (data plan required). The 40 TFSI gets DAB+ digital radio, but the 35 TFSI doesn’t. The 45 TFSI upgrades to an 8.3-inch screen with live map updates (and five map updates), a 10-speaker stereo with subwoofer, and it has the bigger digital info cluster. The Audi A4 40 TFSI and 45 TFSI come in both sedan and wagon body style. 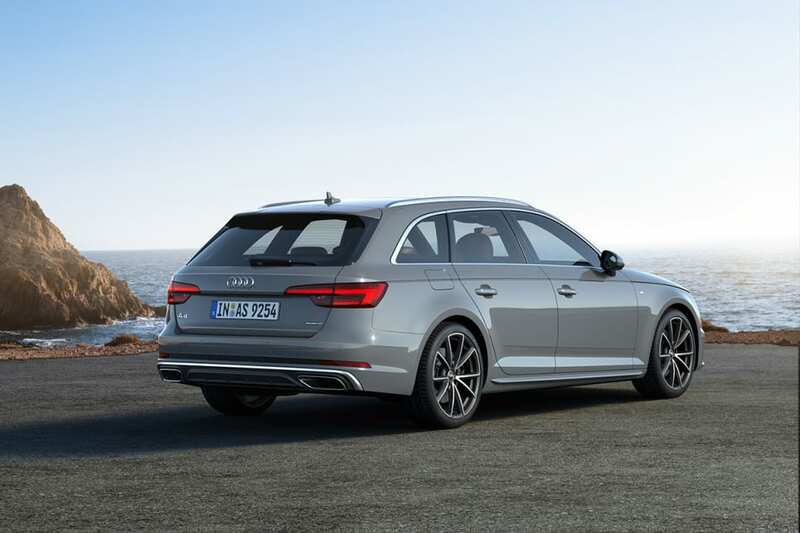 The 40 TFSI wagon is front wheel drive while the extra cost of the 45 TFSI will get you AWD. All models come with a reversing camera, front and rear parking sensors, eight airbags (dual front, front side, rear side, curtain), driver drowsiness detection, auto emergency braking (AEB) with pedestrian detection that works up to 85km/h, blind spot monitoring, rear cross-traffic alert, Audi’s “exit warning system” that can warn occupants if they might be about to open their door into oncoming traffic, and tyre pressure monitoring is standard, too. 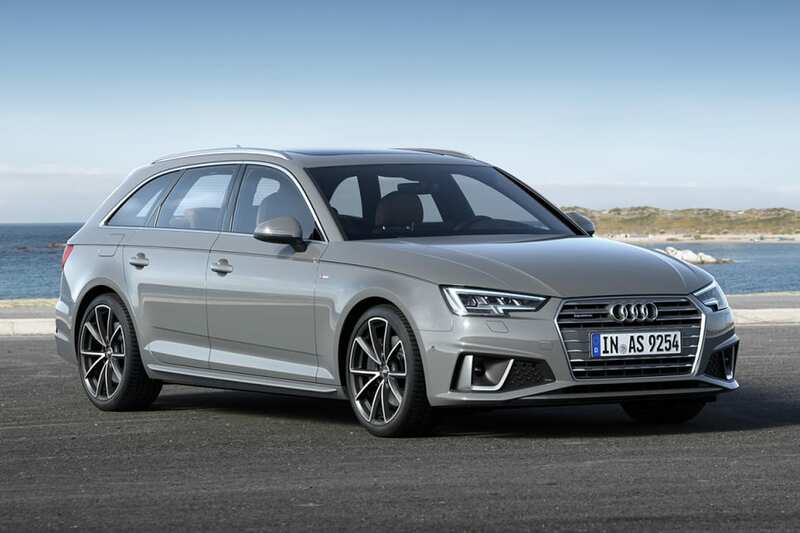 For those who want a little more bang for their buck, the existing performance-oriented S4 models remain available (sedan: $99,240; Avant wagon: $102,240), as does the flagship RS4 Avant (wagon only: $152,529). Updated and upgraded - is the Audi A4 appealing to you? Let us know in the comments section below.